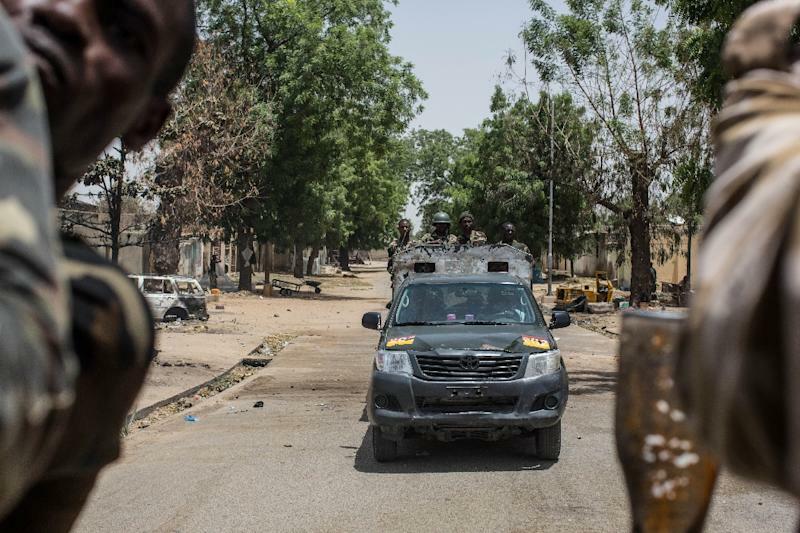 Kano (Nigeria) (AFP) - Two soldiers were killed in a Boko Haram rocket attack on a military vehicle in the northeast Nigerian town of Baga, residents told AFP on Tuesday. 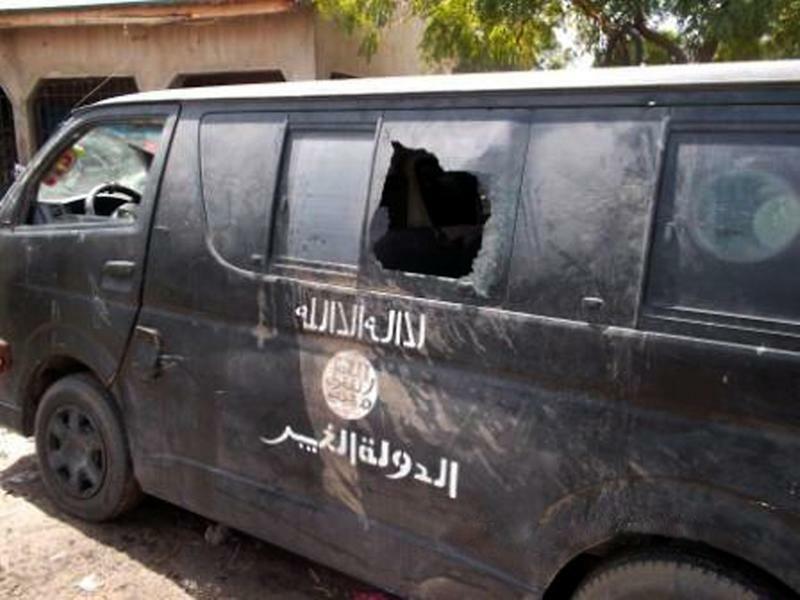 Six other soldiers and a civilian vigilante were critically injured when their vehicle hit a mine planted by the Islamists just outside the town in Borno state on Sunday, they added. The attack and the mine explosion happened as the military escorted some 1,200 people from Baga on a brief return visit to their hometown from the Borno state capital, Maiduguri. Boko Haram seized the town on the shores of Lake Chad on January 3 and is suspected of killing hundreds in what was feared to have been the worst massacre in the six-year insurgency. Nigeria's military said it had recaptured the town in late February, as an operation also involving Chad, Niger and Cameroon stepped up to drive out the militants from occupied territory. "Boko Haram fired a rocket-propelled grenade on a military van in an ambush in Baga which killed two soldiers and destroyed the vehicle," said resident Karimbe Maina. The soldiers were driving back to their base outside Baga to mobilise more troops to help drag an armoured vehicle stuck in the mud across town on the shores of Lake Chad, he added. "Following the attack which killed two soldiers there was a prolonged gun battle ‎between soldiers and the Boko Haram gunmen, which forced the gunmen to flee," said vigilante Haruna Shuaibu. The attack disrupted the tour, forcing the residents to leave their badly damaged and pillaged town as quickly as possible, said Musa Bulama who was on the visit. The visit was initially planned for Sunday but was temporarily stalled after a military vehicle set off a mine in Kauyen Kuros village, six kilometres (four miles) from Baga. Military spokesman Chris Olukolade said on February 21 that troops had to clear landmines planted by Boko Haram before being able to enter Baga. Nigeria claims to have Boko Haram on the run and that troops are poised to storm the group's Sambisa Forest stronghold by the handover of power to president-elect Muhammadu Buhari on May 29. But with increasing talk of some of the 1.5 million people forced to flee the fighting returning home, the Baga residents said the area was still infested with militant fighters. "Boko Haram are still in the bushes around Baga and move in and out of the town unchallenged because soldiers confine themselves to their base in Mile 4 and only carry periodic patrols of the town," said Maina. Bulama added: "The area is still not safe. Boko Haram are very much around in the surrounding areas. No one should contemplate moving back into the area because it is dangerous‎."